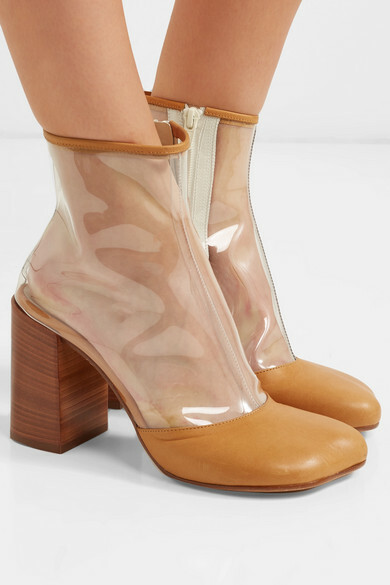 Back in the '90s, Danish band Aqua sang "life in plastic, is fantastic" - little did we know 20 years later these lyrics would perfectly sum up one of this season's biggest trends. 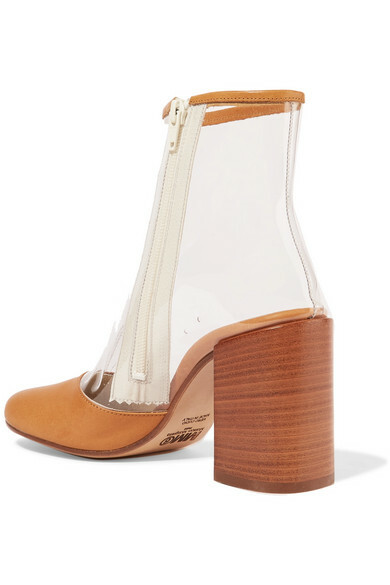 Propped up on a wooden block heel, MM6 Maison Margiela's ankle boots are made from clear PVC and have a molded leather toe cap. Wear yours with cropped or midi hemlines. 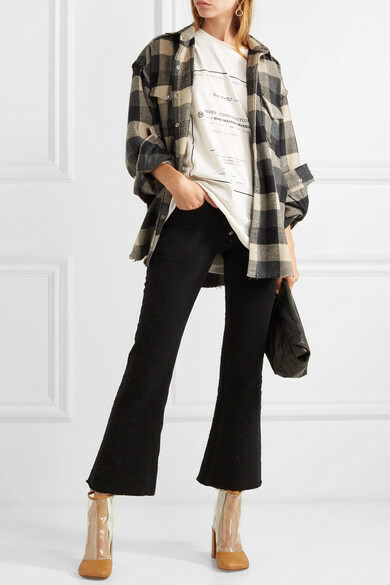 Shown here with: IRO Shirt, MM6 Maison Margiela Jeans, MM6 Maison Margiela T-shirt, SIMON MILLER Clutch.